The Second East Asia Film Festival Ireland returns to the IFI this April and features a huge range of eclectic films from Japan, Taiwan, China, Hong Kong, Singapore and South Korea. Along with a great weekend of screenings the festival features legendary and highly influential Taiwanese cinematographer Mark Lee Ping Bing, who has worked with the likes of Hou Hsiao-Hsien, Wong Kar-Wai, Tian Zhuangzhuang, Tran Anh Hung, Ann Hui and Sylvia Chang, who will be presenting a masterclass on the Saturday of the festival along with a number of Q & A appearances, including after the Gala Opening screening of the astounding In the Mood for Love. Last year’s festival (called the Chinese-Language Film Festival) was a great success and featured long time collaborator of Mark Lee Ping Bing, renowned director Hou Hsiao-Hsien (who we had the absolute pleasure of interviewing), giving a thoughtful and insightful masterclass on film making. It’s wonderful to see the festival returning and building on last year’s wonderful collection of films, with many films screening in Ireland for the first time. Below we preview the great line up of films and screenings over the course of the festival, which runs from Thursday 5th April to Sunday 8th April. Before the festival kicks off proper, checking out a screening of Let the Wind Carry Me is a perfect way of introducing the guest of honour, Mark Lee Ping Bing. This documentary is a portrait of the renowned cinematographer, who’s career has spanned over 35 years shooting some of the most important and visually engaging films, starting with his work in the Taiwanese New Wave movement and continuing on to work with many of the most important directors of East Asia’s film scene. The documentary follows Mark Lee over three years on set and gives a beautiful insight into what makes the cinematographer such a leading figure in film making, discussing his artistic vision and the role of collaboration. The film also features many leading lights including Hou Hsiao-Hsien and Wong Kar-Wai whose films are also screening during the East Asia Film Festival. Tickets here. Followed by Q&A with Mark Lee Ping-Bing. Moderated by Tara Brady of The Irish Times. 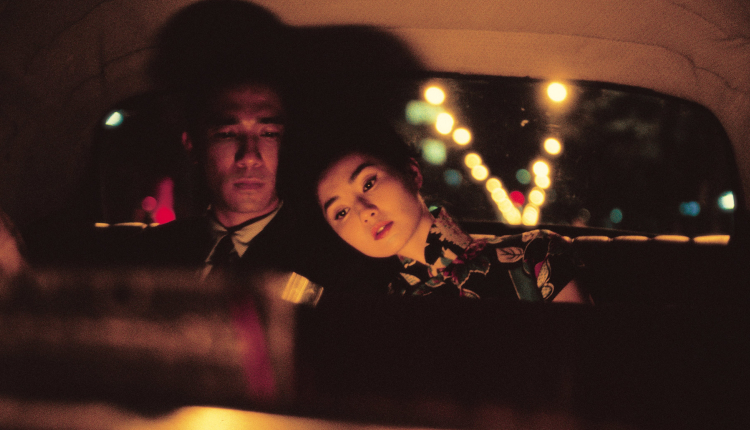 What more can be said of Wong Kar-Wai’s In the Mood for Love? Set in 1962, the film depicts the intersecting lives of Chow Mo-Wan (Tony Leung) and Su Li Zhen (Maggie Cheung), two neighbours who learn over time that their spouses are having an affair. This masterpiece of love and mood, shot wonderfully by Mark Lee Ping Bing, is regarded as one of Hong Kong’s most important films and considering that the cinematographer will be in attendance, this screening is not one to miss. He will be there to answer questions following the film in a special Q&A. The evening ends with a reception afterwards. Tickets here. This special event will look at the process of translation in Chinese cinema for the west and features a conversation with Professor Chris Berry of King’s College London. Professor Chris Berry is a renowned academic in the field of Chinese language Film Studies he will talk about his experiences of working in the 1980s Chinese film industry and the complexity of translating cinematic works for a Western audience. Moderated by Yiming Jin and Maria O’Brien. Tickets here. Followed by Q&A with Mark Lee Ping Bing. Moderated by John Maguire of the Sunday Business Post. Tian Zhuangzhuang’s thoughtful and visually glorious remake of Fei Mu’s 1948 classic (widely considered the greatest Chinese film ever made), Springtime in a Small Town is a haunting and atmospheric story of love in post-war China. Noted for the beautiful cinematography from Mark Lee Ping Bing, Springtime in a Small Town is gloriously shot in extreme low light and along with its beautiful production design, the film pushes sensuality and eroticism in every frame. The screening is followed by a Q&A moderated by John Maguire and will offer great insight into the technical aspects of shooting this way. Tickets here. Starring the wonderful Isabelle Huppert and Kim Min-hee, and directed by the wonderful Hang Sang-soo, Claire’s Camera makes its Irish premiere at this year’s East Asia Film Festival. Shot over the course of the 2016 Cannes Film Festival and making its premiere at the 2017 festival it tells the story of Claire who travels to Cannes with her camera and strikes up a friendship with Manhee (Kim), a Korean film sales assistant who mysteriously has just been fired by her boss. Hang Sang-soo’s thoughtful and cheery character study is a great addition to his prolific back catalogue and features another great performance from Huppert, who brings depth and meaning to protagonist in this meandering character tale.Tickets here. The special guest of this year’s festival, Mark Lee Ping Bing will be conducting a masterclass on his history as one of the most celebrated cinematographers in East Asian cinema. Discussing the act of collaboration with leading directors including Wong Kar-Wai and last year’s special guest Hou Hsiao-Hsien, this promises to be an enlightening and thought provoking look at how the process has worked to produce so many great films. 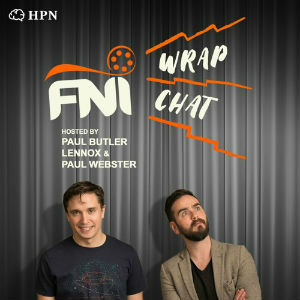 He will be in conversation with Irish cinematographer Tim Fleming and will also be discussing some of his innovative work in shooting in natural and low-light conditions.Tickets here. Introduced by Dr David Robbins from the DCU School of Communications. Directed by the renowned artist Ai Weiwei, Human Flow is a documentary which looks, with a unique perspective, at the global refugee crisis. Coming from such an esteemed observer of the world, Al Weiwei’s film was shot across 23 countries and concentrates on the humanity of displacement caused by war, famine and climate change.Tickets here. Followed by Q&A with Mark Lee Ping-Bing and moderated by Prof. Chris Berry. Hou Hsiao-Hsien redefined East Asian cinema with his masterful work in the 1980s and the consequent emergence of the Taiwanese New Wave movement cemented him as a stalwart of thoughtful and meditative stories of culture, love and history. Cinematographer Mark Lee Ping-Bing was with him throughout, and together they made some of the most culturally important films of the past 35 years. In 2005 they again collaborated on the beautiful Three Times, the story of three tales of love over three different time periods in Taiwan. Three Times would go on to be nominated for the Palm D’Or at Cannes and Mark Lee Ping Bing will be in attendance for a Q&A afterwards.Tickets here. Shot mostly in black and white and directed by Taiwanese first timer Hsin-Yao Huang, The Great Buddha+ makes its Irish Premiere and tells the tale of the poorest people of Taiwan illicitly peering into the colourful life of the rich, via the Mercedes dash-cam of the boss of Global, a factory which makes giant Buddha sculptures. A social satire and a comedy filled with bleakness and eccentricity, Huang’s film has earned plaudits around the world for its unique view of the world and especially the political and social structures within Taiwan.Tickets here. A family screening of the peculiar and beautifully animated / live-action Chinese film Monster Hunt 2 starts off the final day of the East Asia Film Festival. The story continues on from 2015’s Monster Hunt and follows Wuba, a monster born to a human father and monster queen, as he leaves his home in the human world and travels to the monster world, after the death of the evil monster king, to restore peace.Tickets here. Picking up numerous awards and being nominated for the Golden Bear at the Berlinale in 2017, South Korean director Hang Sang-soo follows on from the screening of Claire’s Camera with On the Beach at Night Alone, the story of an illicit affair between a woman and a married man and the emotional toil this can take on the people involved. Kim Min-hee plays the lead role as Young-hee and would go on to win the Silver Bear for Best Actress at the 2017 Berlinale, an award thoroughly deserved for her portrayal in this elegantly shot, raw character study. Tickets here. Followed by Q&A with Mark Lee Ping-Bing. Moderated by Prof. Chris Berry. Directed by Zhao Hantang, Seventy-Seven Days was shot by Mark Lee Ping Bing over 3 years at high altitudes across Jieshan Daban, western Tibet and China and follows a man on a spiritual journey as he tries to trek across the uninhabited region of Qiang Tang alone with just a bike, a tent and basic provisions. Visually breathtaking, as is to expect with Mark Lee Ping Bing shooting such landscapes, Seventy-Seven Days will be followed by a Q&A with the man himself, moderated by Professor Chris Berry, renowned academic in the field of Chinese language Film Studies. Tickets here. The final film of the Second East Asia Film Festival is the Irish Premiere of award winning director Eric Khoo’s Ramen Shop which tells the story of food and family as a young man who is curious about his deceased parents’ past takes a food journey to Singapore. Eric Khoo is a director known for reviving Singapore’s film presence and becoming the country’s leading film maker by being the first director to be nominated for numerous awards at Berlin, Venice and Cannes. Tickets here. The Second East Asia Film Festival Runs from April 5th to April 8th. Check out the full programme here.